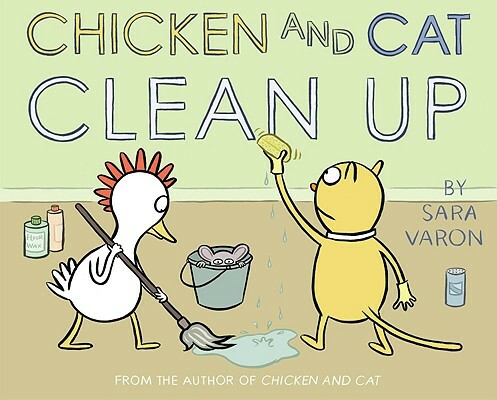 Sara Varon follows up on her irresistible CHICKEN AND CAT with a new tale about the fabulously sweet and charming duo. When Chicken starts his own housekeeping business, he hires Cat to help him out. It's tough going at first. No matter how hard Cat tries, he is clumsy and keeps making mistakes, which causes Chicken to be upset and Cat very sad. Finally Cat listens to his inner-species calling when he bravely catches a mouse thief. The two friends make amends and decide to start a brand-new business called Chicken and Cat's Housekeeping and Mousecatching Services. This story about friendship and listening to one's heart is perfect for friends new or old.